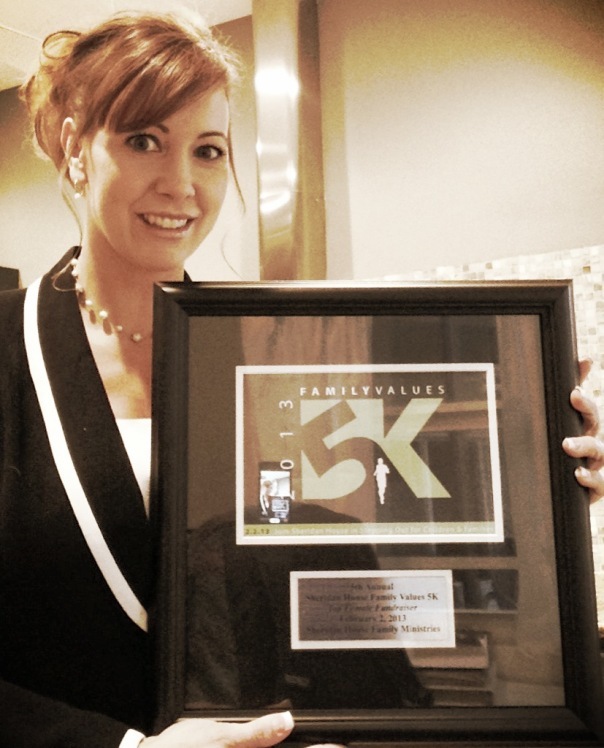 Amy Engelberg holds her “Top Female Fundraiser” plaque for the 5th Annual Sheridan House Family Values 5k. On Saturday, Amy Engelberg, ANB Executive Vice President and Chief Lending Officer, participated in the 5th Annual Sheridan House Family Values 5K held at their property in Davie, FL. Their annual 5K fundraiser benefits children and families, particularly single mothers with at-risk middle school aged children. Sheridan House had a goal of raising $100,000 from the event, and as of the start of the 5K race, they had raised more than $97,000. Amy was honored as the top female fundraiser. Amy, along with another participant, raised more than 25% of the total donations. The ANB team congratulates Amy on her significant accomplishment. This entry was posted on Monday, February 4th, 2013 at 1:57 pm and is filed under Uncategorized. You can follow any responses to this entry through the RSS 2.0 feed. You can leave a response, or trackback from your own site.